His original plan was to propose to me in India. 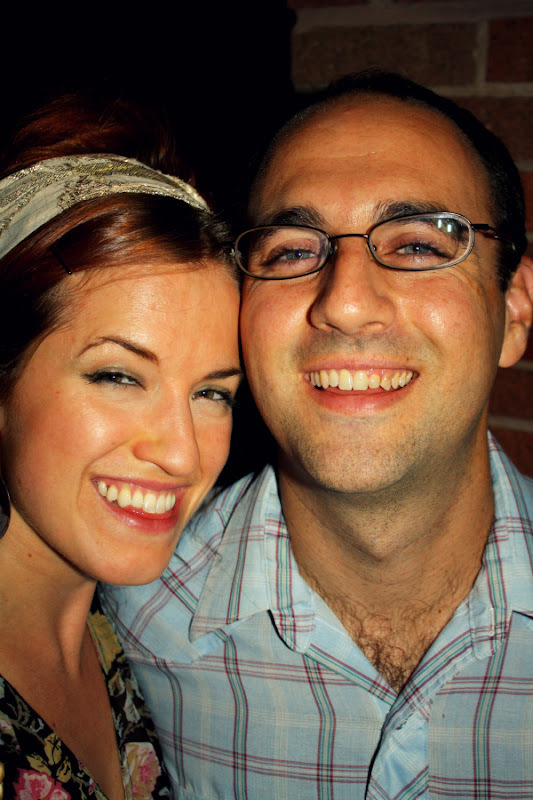 But after living there for a few weeks, it became clear to my boyfriend that perhaps a public declaration of marital intent just wouldn’t do in a land of arranged marriages. So he waited patiently, and decided to save his proposal for a more romantic destination. The romantic destination. Paris. 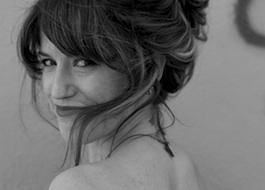 In between India and home, we had a five-day layover scheduled in the City of Lights. But what we didn’t know, was that in July 2005, South India would experience the worst monsoon it had in generations. We had been living there for two months. Each day greeted us with warm, blink-and-they’re-gone showers, gentle reminders of a bygone jungle that had once stood in our village — but nothing serious. Until we got to the airport, and there was flooding in Mumbai, and we saw angry mobs of grounded passengers shaking their expired tickets. “I demand refund!” a suited Indian male shouted at no one in particular. “Coward!” screamed another after a scared airport employee, whom we saw slinking out the exit door, away from the mob. Paris, it seemed, was cancelled. When we finally got home to Austin, ragged and travel-worn, it was no surprise that my boyfriend came down with the flu. One day, I was bringing him ice water in bed. He was still feverish, as evidenced by his clothing. Which is to say, there wasn’t much. Poor sick, delirious thing, I thought. He leapt up out of bed in his boxers, and came back with a ring. When we called his parents, they were waiting right around the corner for us with flowers and smiles. 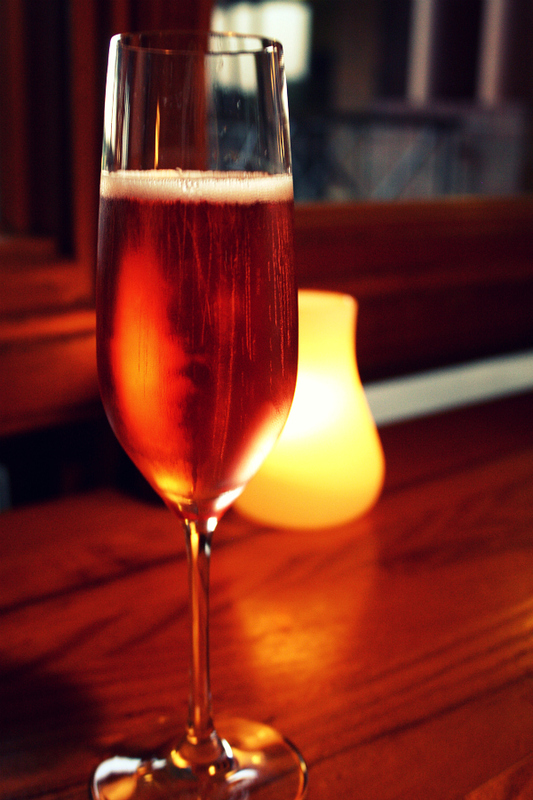 We all walked together from my boyfriend’s house in Hyde Park, to our favorite fancy restaurant: Asti. For this reason, Asti has long held an incredibly special, nostalgic place in my heart. 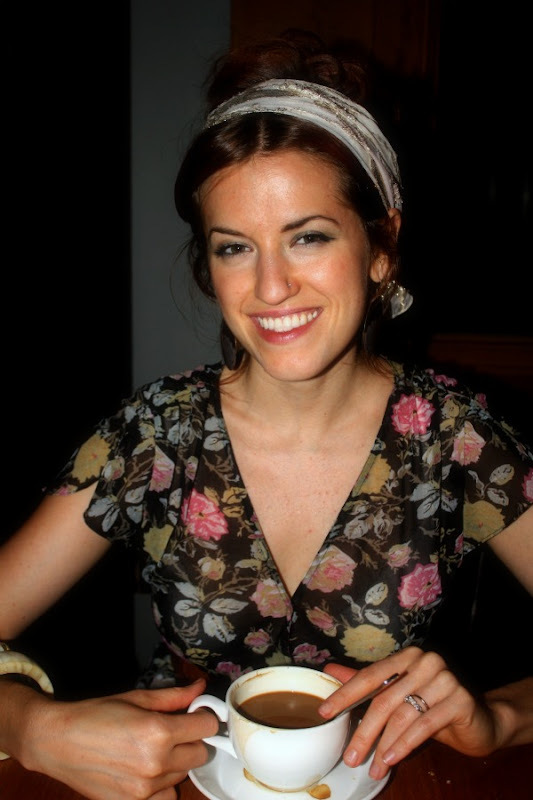 But Ross — once my boyfriend, now my husband — and I have never been on a proper date to Asti’s sister restaurant, Fino. Interestingly enough, it opened up the exact month that Ross proposed: July 2005. So a week and a half ago, we decided to check it out. Fino has a Mediterranean-inflected menu, where you are as likely to spot an artisanal cheeseboard as, say, grilled octopus. 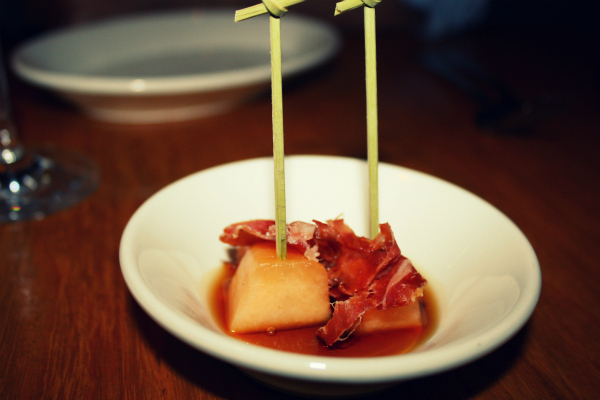 We started with an “amuse bouche” (love that dirty-sounding word) of prosciutto-wrapped melon and a sherry reduction, and tapas of sweet potato chips with star anise and pomegranate yogurt. Now anytime a menu features the word “sweet potato,” I usually make a sound like an excited animal and order it. 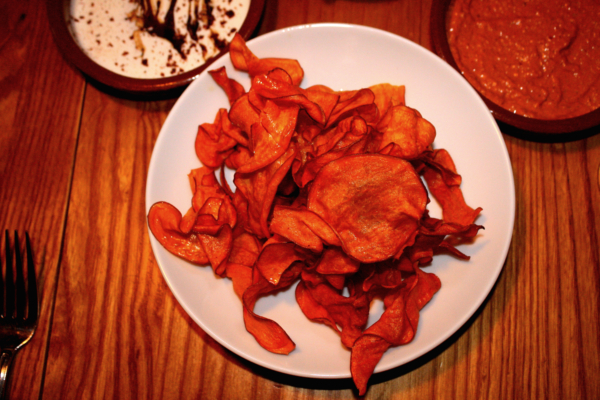 But one quibble I have with sweet potato chips: At some restaurants, they have a tendency to remain soft. 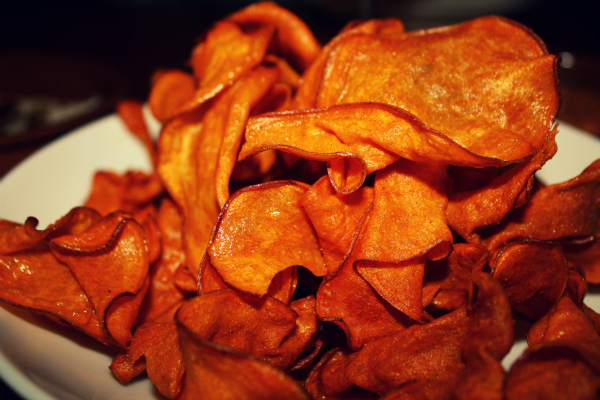 Not crunchy, like a real, satisfying chip. Fino’s, however, are crispy little bites of sweet and salty goodness, and you just cannot imagine how they taste dipped in creamy yogurt. I might have polished off this plate single-handedly, had we not also ordered Fino’s dangerous housemade bread (“dangerous” because we hadn’t even gotten to salads yet), and red pepper walnut spread — like a grittier, richer version of roasted red pepper hummus. I’ve mentioned on this blog before that Austin is experiencing a love affair with red beets, which I have no problem with. Sweet potatoes … beets … what can I say? I’ve never met a root vegetable I didn’t like. 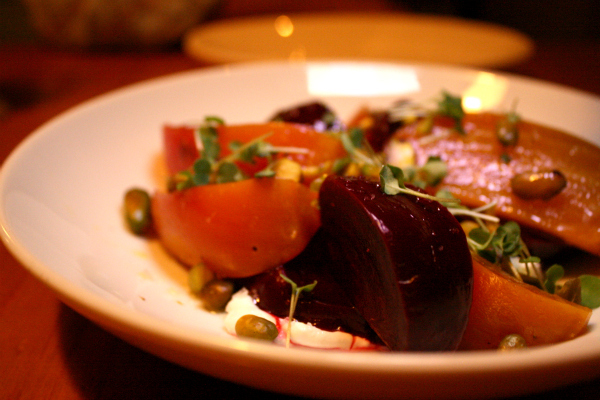 For our salad, Ross and I split roasted beets with thick, Greek yogurt, pistachio and herbs. Those little green pops of clover you see on the top are actually micro basil, which helped bring out the beet’s earthy sweetness. 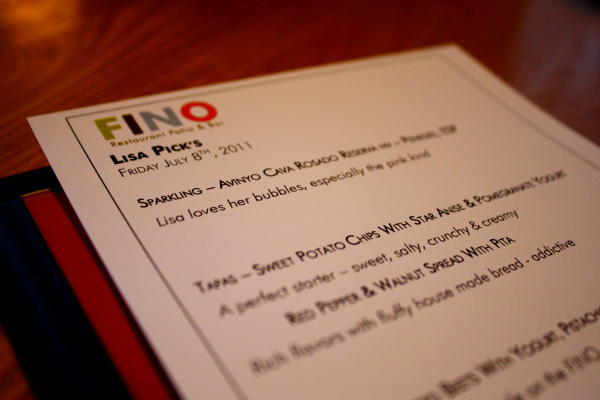 Lisa Fox, one of the co-owners of Fino, tells me that people tend to shy away from this dish. I guess it’s the squid ink that scares them off. But each time I’ve tasted squid ink anywhere, it’s mixed liberally with olive oil, then tossed with rice — and the result is so dark, it looks exactly like black beans. So let me be the first to say that you should fear not thy squid ink. In our meal above, the “arroz negra” was incredibly rich, which the chef deliberately let caramelize on the bottom of the cast iron pan. You have to dig in and scrape it off, and when you do, your fork comes back up with chewy baby octopuses nestling in those dark masses. Am I frightening you? Probably. 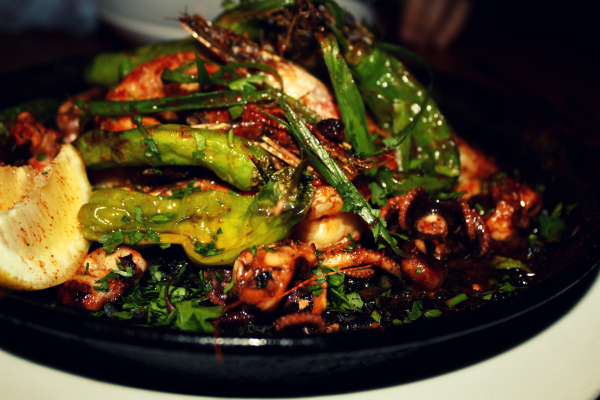 But as adventurous as this paella sounds, it’s painfully addictive. Reverence-inducing delicious. I encourage you to order it on a second or third date after you’ve gauged your partner’s culinary courage, and if high, split this together. 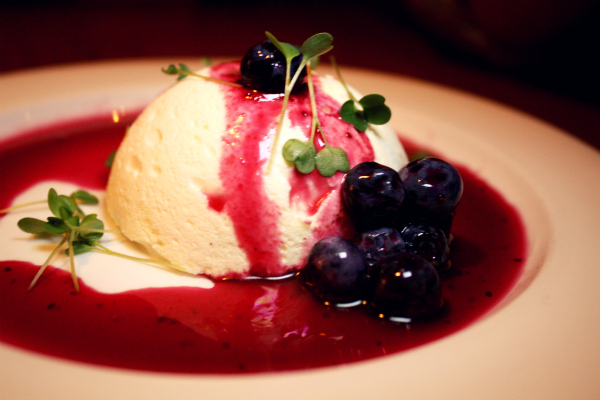 We finished things with frozen lemon mousse, topped with blueberry syrup and more of that savory micro basil. After coating our tongues in yogurt, rich seafood and nuts, this was a perfect palate cleanser: Tart and sweet, with that basil again, cleverly accenting its surrounding sugars. Is it any wonder we could barely talk when we stumbled out of Fino? I had a brief moment where I considered getting down on one knee and “proposing” to Ross on the second floor stairs, for old times’ sake … but alas, I was too full to do anything but walk. If one’s grand gestures must be cancelled by anything, I’m glad mine was paella.